When Salesforce CEO Marc Benioff announced the $2.8 billion acquisition of Demandware earlier this month, he described it as a “very competitive deal,” adding it’s the “most intense” M&A environment he’s ever seen. And according to a regulatory filing by Demandware last week, Salesforce indeed faced serious competition from one other bidder, causing it to close the deal within just 3 weeks of commencing discussions. The filing, which has the full back-and-forth details of the deal, shows how Demandware was able to engineer a bidding war between Salesforce and another company identified as “Party X,” that resulted in the largest acquisition in Salesforce’s history. The bidding price went as low as $55 a share at one point, but eventually closed at $75 a share, a 36% premium from the lowest offer, when Salesforce placed a $2.8 billion final bid. Party X’s first offer on December 22 was at $63 per share, 20% over Demandware’s stock price at the time. Demandware turned it down, but kept the dialogue open. In February, Demandware’s share price plummeted to $28.05 per share, following a poor earnings report. That prompted Party X to come back with a lower bid, at $55 per share, in mid-April and a revised $56 a share bid by early May. Right around then, from May 9, Goldman Sachs, the bank representing Demandware, started reaching out to 10 potential buyers to see if they might be interested in joining the bid. Seven of them declined, 2 of them failed to engage in any talks, leaving only one party — Salesforce — interested in a deal. On May 10, Salesforce made its interest official and within 10 days, submitted its first $62 per share proposal. It also indicated that it’s ready to “move quickly” to close the deal by May 31. Party X later countered with a $63 per share bid, which Salesforce countered with a $70 a share bid. When Goldman Sachs told Party X it was not the highest bidder anymore, it came back with an offer of $70.25 per share. Then Goldman Sachs went back to Salesforce and offered to give an exclusivity offer at $75 a share, which both parties agreed to. 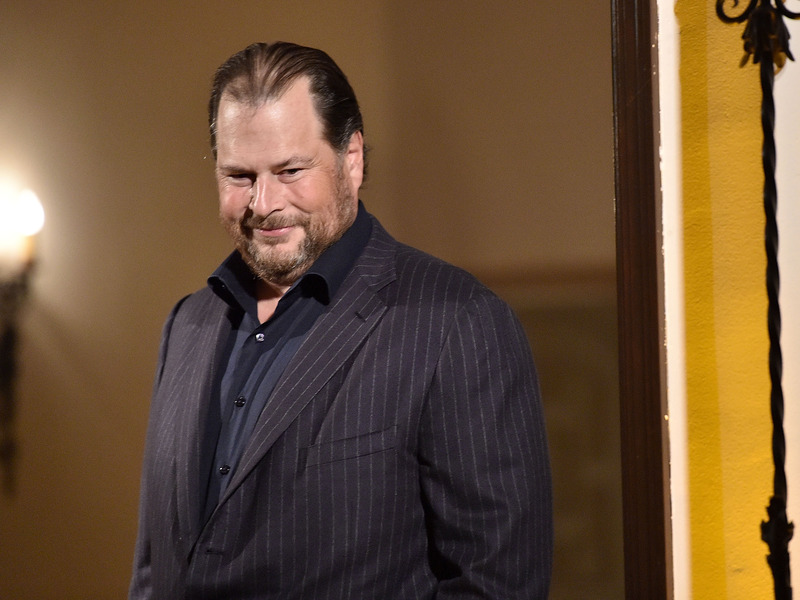 And just like that, Salesforce closed the biggest deal in company history. It’s unclear which company Party X is, but market research firm Stifel suspects it’s Adobe, given it’s also rumoured to be interested in buying an e-commerce software maker. Adobe’s representative wasn’t available for comment. You can read the full details of the timeline here (starts at page 14).